We understand that it’s not always easy or affordable for our troops serving overseas to call friends and family at home, so starting today we’re making it completely free for all uniformed military personnel with valid United States Military (.mil) email addresses to call the United States, right from Gmail. 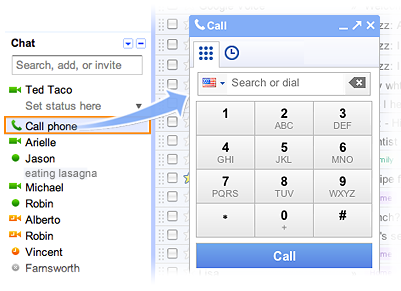 Click on the Call phone link at the top of the Gmail chat roster and install the voice and video Gmail plugin if you haven’t already. And don’t forget that for friends and family at home in the U.S., calling troops abroad is as little as $.02/minute. Similar to free calling within the U.S., free calling to the U.S. for service members will be available for at least the rest of 2011. We recognize and appreciate the sacrifices U.S. troops make when they serve abroad, and we’re proud to help make it a little bit easier for them to stay connected and hear a familiar voice.